Split full name fields into their constituent parts (first, last, etc.) while taking into account middle names/initials, prefixes, suffixes, and other quirks. Many forms ask for a contact’s full name (rather than first and last). This can help streamline data entry and improve form completion rates. However, it can cause problems when you want to use just a specific part of the name. For example, using merge tags to send custom emails. “Hi John Smith” doesn’t feel as personal as “Hi John”. 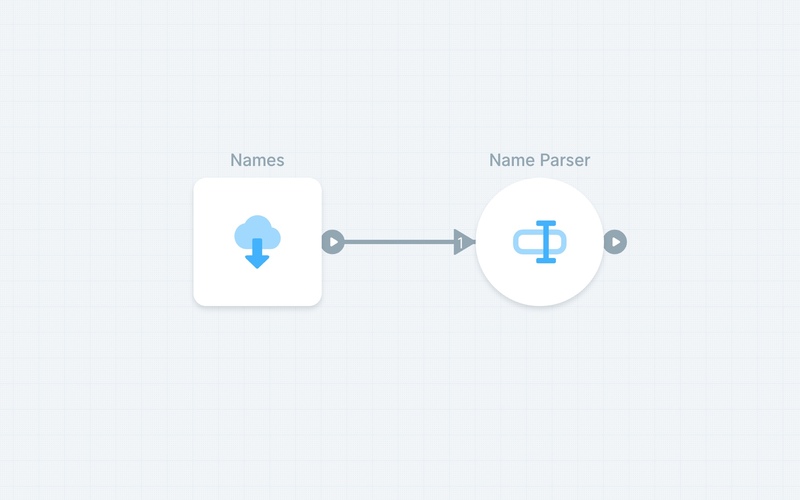 You can use the “Name Parser” object to auto-detect the various pieces of a name field, and then split them up into multiple columns as desired. The Parabola “Name Parser” object handles middle names/initials, prefixes, suffixes, and other name quirks that might otherwise cause problems.